Marjorie E. “Eloise” Fuller, 94, of Streator passed away Tuesday, February 12, 2019 at Heritage Health Therapy and Senior Care, Peru. Funeral services will be at 11:00 A.M. Friday at the Solon-Telford Funeral Home, Streator. Rev. Caleb Suydam of the Park Presbyterian Church will officiate. Visitation will be from 9-11 A.M. Friday at the Solon-Telford Funeral Home, Streator. Burial will be in Hillcrest Memorial Park, Streator. Pallbearers will be family members. Born October 3, 1924, she was the daughter of Ivan and Amy (Puntney) Morlan. She married her life-long companion, Richard W. Fuller on March 26, 1955. He preceded her in death on November 4, 2009. She is survived by a son, Patrick (Andrea) Freeman of Truth or Consequences, New Mexico; grandsons, Patrick (Kaya) Freeman Jr., of Coral Gables, Florida and Brian (Carrie) Freeman of Corrales, New Mexico; great grandchildren, Dylan, Sol, Lyle and Ian Freeman; brothers, Kenneth Morlan of Streator, Robert Darrel Morlan of Streator and Loren Morlan of Peru; many cousins, nephews, nieces also survive. She was preceded in death by her parents; her husband; and a sister, Lucile Kotansky. She attended Grand Ridge Grade Schools and was a graduate of Streator High School in 1942. She worked at Owens Illinois Glass Company as an executive assistant in the Q & S Department until her retirement in 1972. She and her husband traveled extensively around the country as antique doll dealers and visited family in their many motor homes over the years. Long before computers made it popular or easy, Eloise spent years compiling extensive genealogy records. She documented connections to ancestors who fought in the Revolutionary War and made it possible for her and her relatives to become members of the Daughters of the American Revolution. Known affectionately as the Doll Lady, Eloise compiled an important collection of rare and antique dolls during her travels. She was a member of the American Doll Association, and her collection was recently sold at international auctions. Eloise was a vibrant, talented and outgoing person who was a natural leader in any group she worked with. 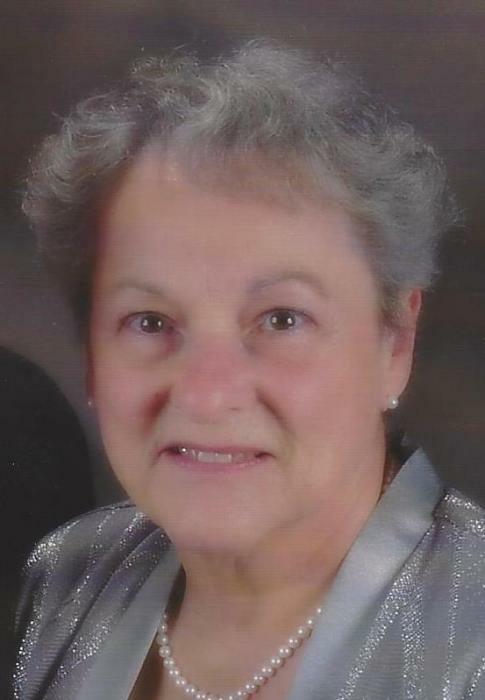 She loved to play duplicate bridge and played and competed for many years. She was a member of the Park Presbyterian Church in Streator.